This is one half side of a pair that can be used as an accent piece (necklace, belt, etc). 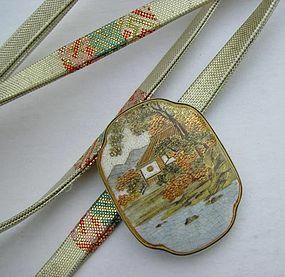 We added a decorative string, obijime (a tie for Japanese obi) to make this into a soft belt. Our photos show three different obijime ties for you to choose from.